Plumbing Companies Austin | How to Celebrate Halloween in Austin! 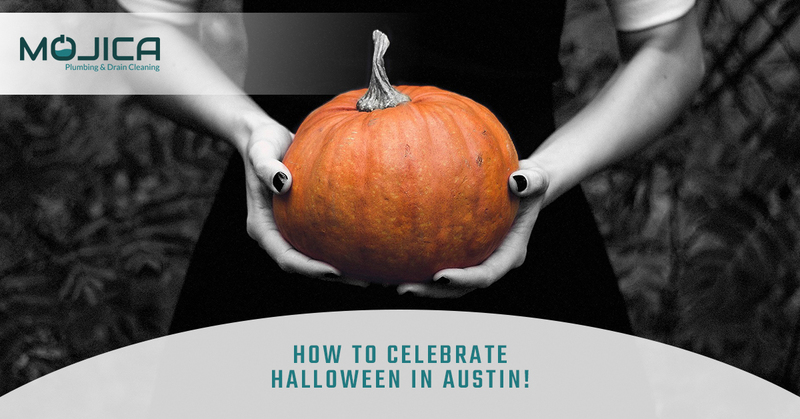 How to Celebrate Halloween in Austin! A few ways to celebrate Halloween in Austin! Halloween is but a week away. Soon, the ghosts and ghouls of Austin, Texas will be flooding the streets with their spooky presence! Our Austin plumbers love Halloween! Not only do we get to eat unhealthy amounts of chocolate and candy corn, but we also get to shake our heads at all of the people who dress up as plumbers for the holiday. I mean, c’mon, we don’t all wear pants that show a bit too much when we bend over! Austin is one of the best cities to celebrate Halloween. If you’re in the city and on the lookout for some fun things to do as you anticipate the spooky madness that will unfurl next Tuesday, read on! Maybe we’ll even catch you at one of these events! What’s better than seeing all of your favorite animals? Seeing them while you’re dressed up in your Halloween costume, of course! The Austin Zoo is hosting its annual Boo at the Zoo, which happens every weekend in October. After dusk, the Halloween glow shines bright all across the zoo, the Haunted Train blows its horn, and the Haunted House opens its doors. This event is kid friendly, too! Be sure to wear your best costume and buy your tickets ASAP! Halloween is coming soon! Seriously, is it even Halloween if you don’t go to a pumpkin patch? Barton Hill Farms opens its gates every October so that families from the Austin area could enjoy a day filled with pumpkins, apple cider, hay rides, and of course, the infamous corn maze. There are activities for both adults and children, so come one come all! Think you could make it out of the corn maze without trouble? Our plumbers sure cant! Austin and the state of Texas as a whole boasts so much Mexican culture! Not only have the Mexican people blessed us with Tex-Mex, but they’ve also presented a huge range of diversity that we’re exposed to and get to enjoy on a daily basis! One great event that happens every late october is the Viva la Vida parade which celebrates Dia de Los Muertos, a Mexican holiday which commemorates the dead. Since it’s so close to Halloween, the people of Austin celebrate the two holidays in conjunction with one another! However, be careful not to dress like a Mexican sugar skull for Halloween, as it does disrespect their spiritual beliefs and celebrations! We hope you’re as excited for the neat costumes and colorful decor of the parade! The Halloween Express, hosted by Austin Steam Train Association, is the perfect excuse to wear a spooky costume while enjoying the Texas countryside by train. Every Halloween, Austin families flock to the train to ride over the South Son Gabriel River and Short Creek Canyon. And, if the weather permits, you can see the Wild West Gunfight show during a layover in Burnet, Texas. Make sure to go all out with your costume; there’s a contest in every car! We don’t recommend you take your young children to this haunted house, but for those over the age of 13, proceed with caution! The House of Torment is one of Austin’s most popular and scariest haunted attractions. This year, the themes are “The Possession,” “The Frenzy: Dark Carnival,” and “The Deranged.” We commend all those who are brave enough to step foot into this spooky house of horror. Our plumbing company will service almost any house that needs plumbing work; however, this one certainly is not one of them! Who says you have to spend Halloween conventionally when you could dance the night away with the band who revolutionized dance music? Yes, LCD Soundsystem is coming to Austin this Halloween for a show that’s sure to be unforgettable. Yeah, the band may have tricked us into thinking that they were going into retirement. But, they came back to life with american dream and our plumbing company is pretty excited. Happy Halloween, spooky Austinites! We hope to catch you at some of these events! If you’re experiencing some scary plumbing issues, contact Mojica Plumbing & Drain Cleaning today! We’ll be more than happy to help!